SoulCalibur has always been a staple in the Namco-Bandai "House of Games" with SoulCalibur 2 being considered one of the best of the franchise. So it was no surprise when they announced the HD update for PS3 and Xbox 360. It's safe to say that SoulCalibur 2 HD Online does the HD part well, very well in fact. However, the online portion suffers tremendously. All of the modes from the original SoulCalibur 2 return including - Arcade, Versus, Time Attack and, of course, Weapon Master. All of these modes hold the same basic principles as any other fighting game with Weapon Master being the mode in which you unlock new modes, weapons and characters. There is nothing new here in terms of modes aside from the new online play section. Online plays allows for ranked matches that let you fight opponents for points and be promoted or demoted depending on whether you win or lose, and also "free" matches where you just fight your opponent with no penalty or rewards aside from the satisfaction of victory. The downside is, for a game that flaunts the online portion; it can't handle it very well. The netcode is spotty, at best, and while the ability to filter network connections is a nice touch, it's pointless because of said spotty netcode. 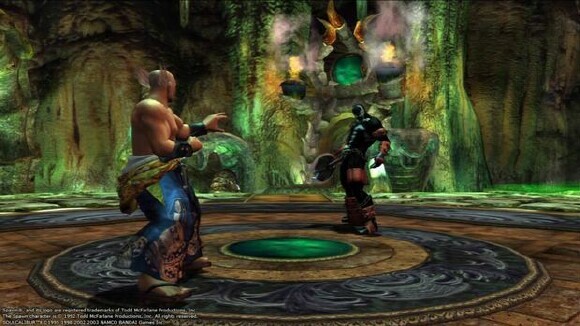 When it comes to HD updates in games, SoulCalibur stands out as one of the best. Character models are smoother around the edges, weapon clashes are flashier and the overall look of the game is crisper. 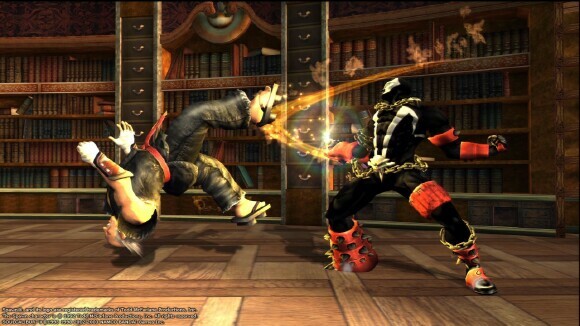 One great thing about this "new" SoulCalibur is the option to finally let Spawn fight against Heihachi Mishima. This was impossible in the past due to guest characters being locked to specific consoles. The Hyrule hero, Link, is noticeably absent from the update but that should be no surprise since he's a first party character of Nintendo. Those who used to play SoulCalibur 2 outside of the US may notice some discrepancies in the battle mechanics. That's because this is a port of the PAL version of SoulCalibur. Some move properties aren't the same, particularly the way characters react when a move is blocked. SoulCalibur 2 HD Online could be a great game, if there was a better netcode or no online functionality altogether. For a game that flaunts online in the name it doesn't tend to do a good job of it. It doesn't even do a decent job. SoulCalibur 2 HD is a great game outside of that though. However, it doesn't deserve the $20 price tag it carries. 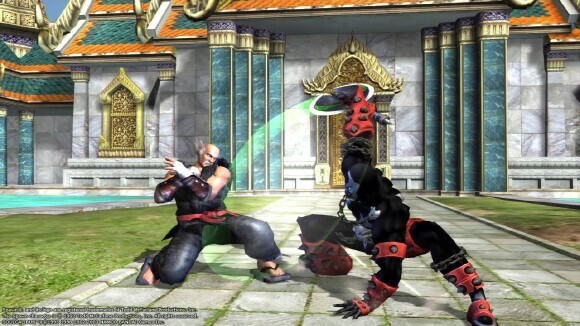 It's great to have Spawn and Heihachi, and it's nice to reminisce on an extremely well put together and popular game in the fighting genre, but with no additional modes, like a combo challenge mode to help new players, it would be better to save your money until the price drops and even that may not be enough to just support up scaled graphics. 2 out of 5 TOV Stars.